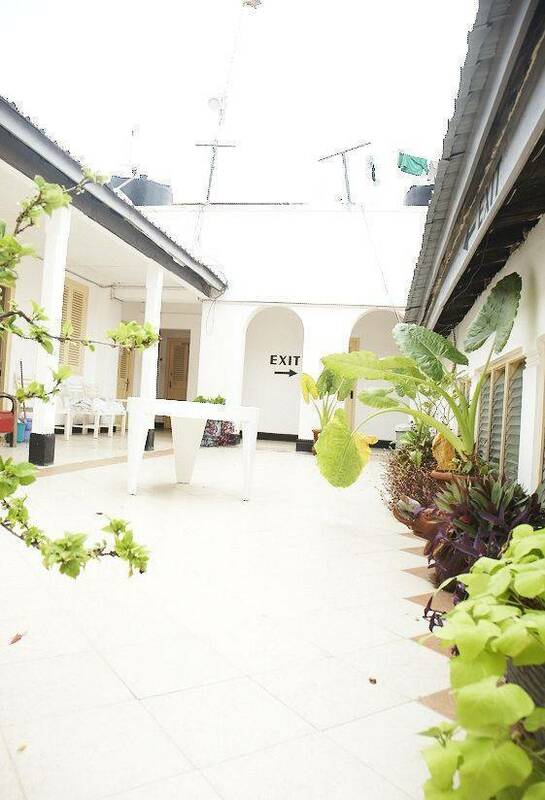 Located in Mombasa city center on Nkrumah Road (Fort Jesus Road) and opposite Barclays Bank. 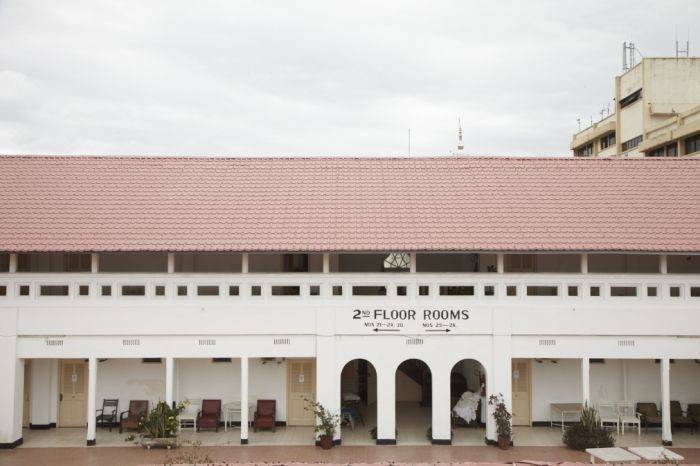 Two minutes walk to the historic Fort Jesus having rooms with ample space and all modern facilities i. e. a/c, tv, fridge, fan, mosquito net/s, free wifi internet, super sport channels, movies and more... Our roof top veranda is ideal for relaxing and sun bathing, we also have a restaurant that offers ala carte foods all day long and daily buffet lunch at very reasonable price. Coffee shop at ground floor with its plenty of place to sit offers tropical juices and espresso for the coffee lovers. Surrounde by ATM machines, the hotel has its own parking in the front and at the back with 24 hours security in place. 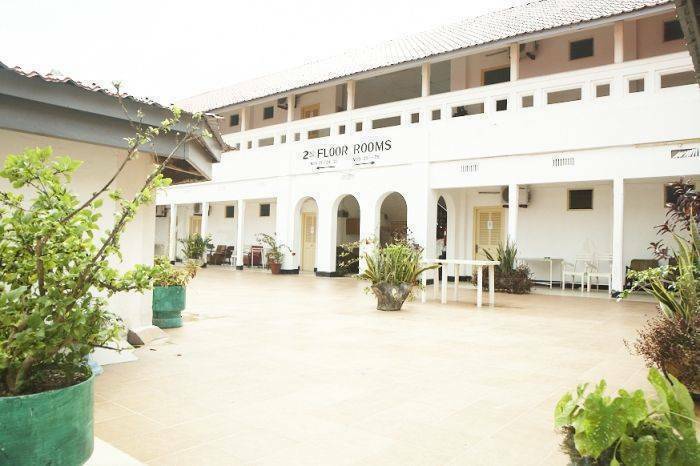 Ideal for the lone traveller, couples, families and groups who like to share a room (max. four or five). 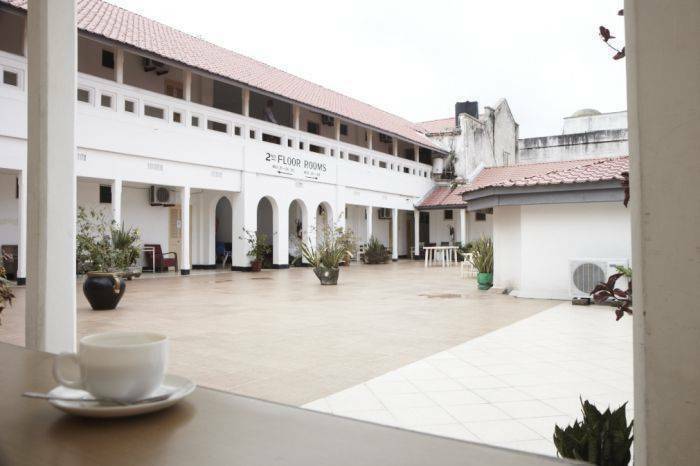 New Palm Tree Hotel is within the old town of Mombasa, a tourist zone and it is only two minutes walk to the famous Fort Jesus which is practically the historic site to visit if you are in or within Mombasa area. 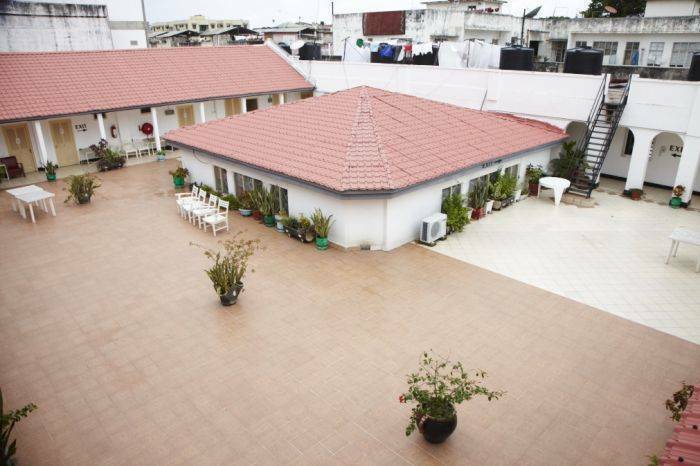 Hotel is on Nkrumah Road along the Mombasa business street where you will find majority of the banks, ATM machines, forex bureaus, travel agents, tour operators, major airline companies, restaurants and boutiques. Failure to arrive without cancellation is full charge. Minimum time required for cancellation is 72 hours. Mode of payment is at the counter upon arrival.